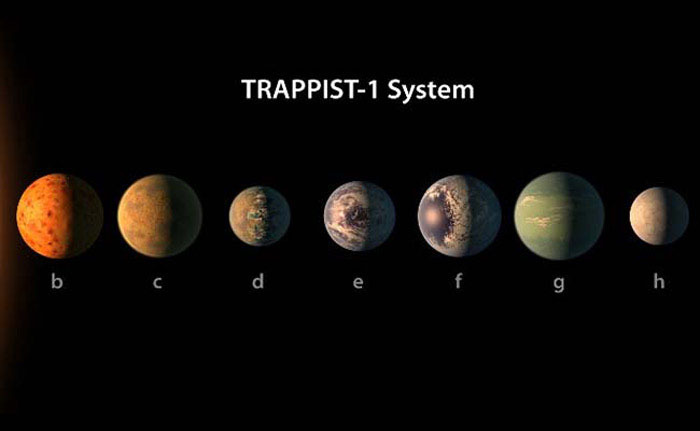 NASA discovers new solar system TRAPPIST-1. Astronomers reported the discovery of a solar system containing seven rocky, Earth-sized planets just 39 light years away. The bodies orbit an ultra cool dwarf star called TRAPPIST-1 in the constellation Aquarius. Several of the planets are located in what's known as the "habitable zone" - the Goldilocks region where it's thought water can exist and life can thrive. This is the first time astronomers have discovered so many terrestrial planets orbiting a single star, This new system could be the best target in the galaxy to search for extraterrestrial life.